Advantage Insulators offers spray foam roofing solutions for commercial and residential flat roofs throughout New Brunswick including Moncton, Saint John, Fredericton and surrounding areas. 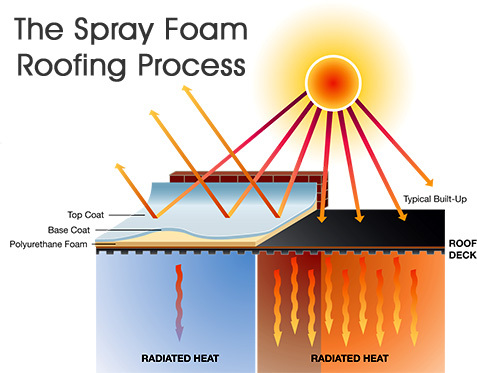 The Advantage Insulators Spray Polyurethane Foam (SPF) Insulation Roofing, when used with specific elastomeric coatings, creates a complete roofing system that insulates, protects, reduces potential of leaks, adds structural support to the building, and cuts the amount of radiated heat into the building. 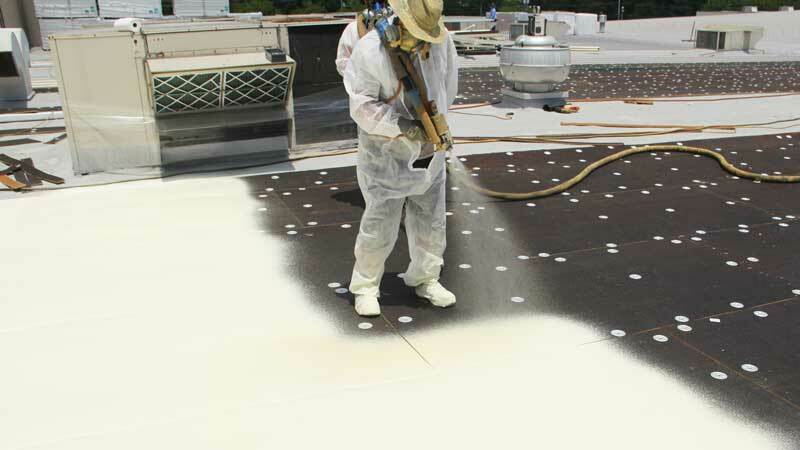 Our spray foam roofing solution is a rigid, closed-cell plastic created by a combination of two liquid components, which react in seconds and can be walked on in a matter of minutes. The resulting roof system provides superior insulation and creates a lightweight, seamless coating over the substrate. The spray foam adheres to almost every surface (BUR, metal, cap sheet, EPDM, and others), so it is unlikely to tear off your roof when it has reached the end of its life-cycle. Our roofing solution coatings come in a variety of types, including acrylic and silicone, and a variety of colors as well. The coatings create the perfect finish for your roof. In addition, we offer a variety of warranties to ensure your continued satisfaction with your roof. Our roofing spray foam solution conforms to the roofing surface with a strong bond that provides a seamless monolithic system and contains no thermal shorts. It provides a greater insulation factor, an unsurpassed air-barrier, increased structural stability, and requires lesstime to install. A spray foam roofing system has an effective lifespan that can exceed 30 years and has the lowest lifecycle cost over other conventional roofing systems. Advantage Insulator’s spray foam roof systems fair better in extreme weather, including hail, high winds, and falling debris. A post-Hurricane Katrina study on spray foam roofing systems was conducted by the National Institute of Science Technology (NIST) in Pascagoula, Mississippi. The study concluded that all spray foam roofs but one minor exception sustained the hurricane without blow-off of the SPFor damage to flashings. From wall-to-wall, spray foam roofing provides a seamless roof install with no mechanical fasteners, providing the building with an unsurpassed air barrier and increased thermal resistance. This type of solution also provides self-flashing around HVAC curbs, vents, and skylights, adding additional protection against moisture and air infiltration. 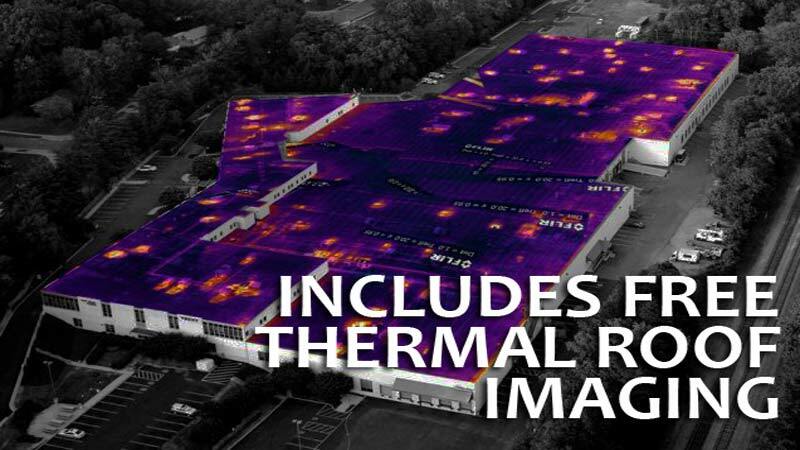 Compared with other conventional roofing systems, our spray foam roofing is as much as 4.5 times more cost effective when comparing total lifecycle costing. It’s simply more energy-efficient, longer lasting, and a better value. A post-hurricane Katrina study on spray foam roofing systems was conducted by the National Institute of Science Technology (NIST). The study concluded that all spray foam roofs but one minor exception sustained the hurricane without blow-off of the SPF or damage to flashings.